This amazing barn renovation took place in the beautiful state of California. 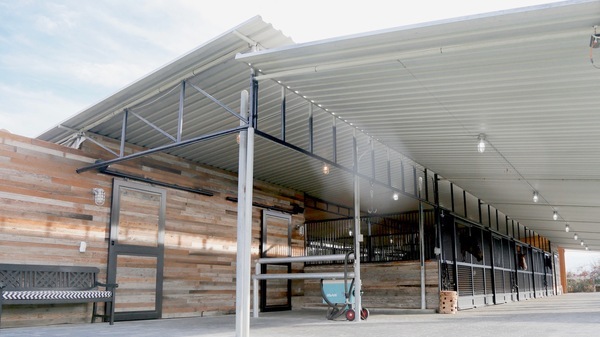 Lucas Equine Equipment is honored to have been a part of this project at La Dolce Vita Farm. 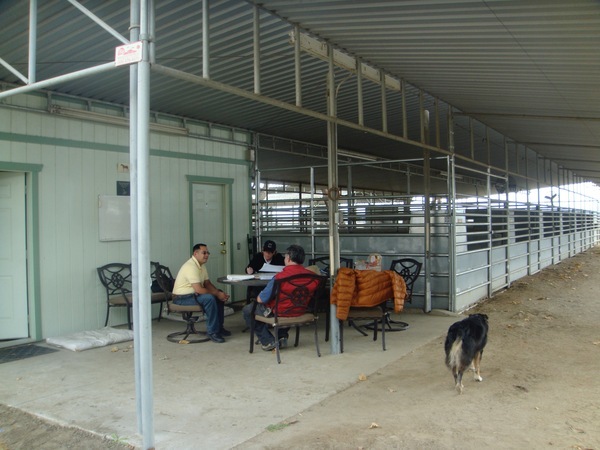 Because of the warmer weather, the owners decided to go with the crosshatch mesh with bars on top and V-shaped yoke cut-out to create a safe and open environment for their horses. Here is what Jim and Elma Cannavino had to say about their farm and experience with LEE on their barn project. "Elma is a competitive amateur dressage rider in southern California and enjoys working with her semi retired school mom (Uma), a small tour Hanoverian (Wenesa) and a 4 year old up and coming Swedish mare (Minx). We are happy to be in the first wave of an increasing presence of dressage in the southern California desert and hope to see more dressage horses and their owners and riders in the future." "We decided to remodel an existing structure to stay in harmony with the area the farm is located in. We are all about quality care and a safe environment for our horses. In addition, we put in an extensive video system that allows us to view our horses from anywhere in the world as well as adding to our state of the art security system. Lucas Equine provided exactly what we wanted in stalls. High quality construction, yokes for our horses to view their surroundings, a very high quality mesh that allowed for circulation in our desert environment while being strong enough to be safe and a gravity latch system that makes our life easier and safer. Coupled with non slip pavers and reclaimed wood, not only do our horses love it but we find it pleasing to our eye." The staff at Lucas Equine Equipment would like to thank Jim and Elma Cannavino for letting us be a part of their barn renovation on such a beautiful farm!! Congratulations on creating a delightful environment for you and your horses.